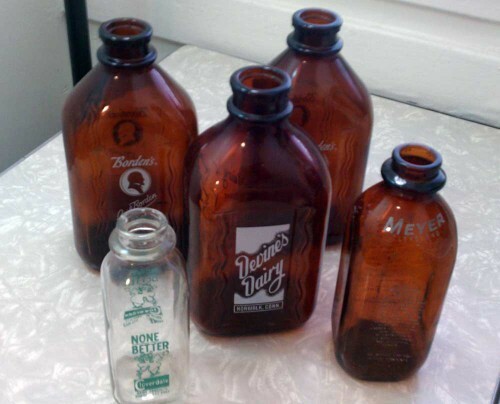 Just some of the old brown glass milk bottles we have available for sale. Like beer bottles, these bottles were made of brown or amber glass to protect the contents from the deterioration of sunlight. 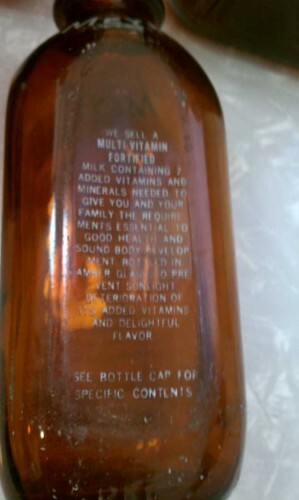 Glass milk bottles are not too common; and these amber ones are even more rare. They have neat old dairy advertising too. 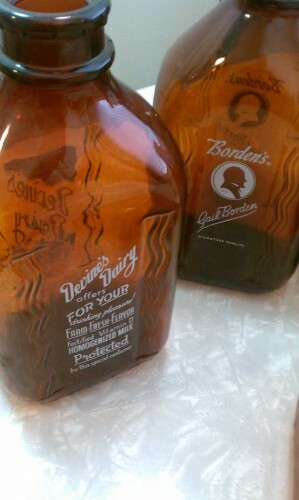 Currently, the collection of these (and many other glass bottles) is at Antiques On Broadway. 2 Responses to "How Now, Old Brown Milk Bottles"